The German weekly news magazine Der Spiegel carried an eye-catching cover story last week on Israel's secret program to deploy nuclear-tipped cruise missiles on German-built submarines. For more than a decade, outside observers have speculated about whether Israel's nuclear arsenal has included a sea-based component. Spiegel's dramatic account provides a compelling and detailed confirmation of the German Government's intimate involvement in facilitating the development of this capability. Although Israel continues to maintain a policy of "opacity," neither-confirming-nor-denying even the possession of nuclear weapons, its neighbors are well aware of Israel's regional nuclear monopoly and have probably assumed that the sophisticated submarines, designed and built by Howaldtswerke-Deutsche Werft AG (HDW) in Germany, would end up as host for the third leg of Israel's triad. That Germany is bankrolling and expanding a platform for weapons of mass destruction in an area of perpetual crisis is increasingly controversial among a German political class generally supportive of arms control efforts and critical of Israel's policies in occupied Palestine. Germany's Nobel laureate poet, Guenter Grass, increased the visibility of the issue in April with release of a scathing poem on the submarine transactions, which commented that "...our complicity could not be redeemed through any of the usual excuses." 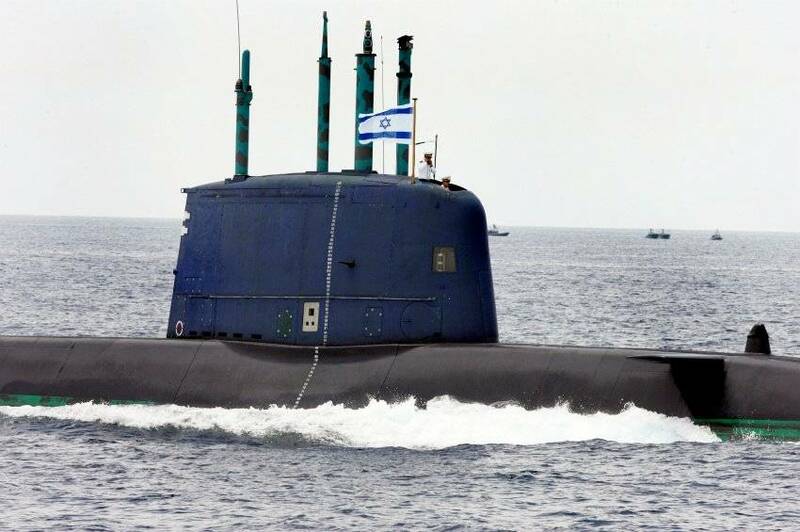 Germany delivered the first Dolphin-class diesel-electric submarine to the Israeli Navy in 1998; the fourth in the class was delivered last month; two more are on order. The latest version of the submarine is among the most sophisticated in the world, powered by "air-independent propulsion," affording it extended range and increased survivability. It is equipped with 16 torpedo tubes, which could be used to fire either torpedoes or sea-launched cruise missiles (SLCMs). Armed with the 1,500 km range Popeye SLCM, designed and built by Israeli industry, the submarine can stand well off the coast of potential enemies like Iran, threatening a wide range of targets with nuclear annihilation. Given the size of its arsenal, an estimated 75-200 warheads and bombs, Israel may be the sixth largest nuclear power in the world. Considering that Israel currently has no nuclear enemy to deter and that it already possesses a land-based, nuclear-tipped ballistic missile force, as well as a formidable air force – armed with either nuclear weapons or "smart" conventional ordnance – a dramatic expansion of Israeli capability seems unnecessary and provocative. If there is an arms control argument for abetting Israel's vertical proliferation of nuclear weapons, it involves stability. With Israel's submarine-based nuclear weapons, no rational opponent can any longer entertain the fantasy of being able to wipe out Israel's deterrent in a surprise attack. The SLCMs, therefore should reduce Israel's incentives for maintaining the option of keeping land-based ballistic missiles and aircraft on hair-trigger alert. Accordingly, Israel could at least make some lemonade from the bitter lemons it is planting by taking steps to explicitly de-emphasize the role of its land-based, medium- and intermediate-range ballistic missiles. Ballistic missiles are particularly destabilizing nuclear weapons delivery vehicles in a crisis, because of their speed, relative invulnerability to interception, and vulnerability to pre-emptive attack. IISS missile expert Michael Elleman recently argued the desirability and plausibility of negotiating a mutual regional ban on conducting flight tests of long-range ballistic missiles in the context of the Middle East WMD Free Zone process. Such action would create one more obstacle to the development of ballistic missile threats to Europe and the United States from the Middle East. Israel could certainly afford to take an additional step away from this dangerous category of weapons. Considering the decisive superiority of its air force and the invulnerability of its submarine deterrent, Israel could retire all of its Jericho missiles without jeopardy to its security. With encouragement from Israel's German and American friends, who make possible the air- and sea-based legs of Israel's triad, Israel could step boldly away from the brink.